Our Partnership comprises business and community members from across Barwon who care passionately about the future of our region. Kylie Warne is the longest-serving President in the Geelong Chamber of Commerce's 163 year history. 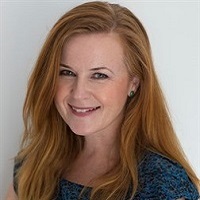 She has operated her consultancy, Brand Bureau for 10 years, and is particularly passionate about supporting regional businesses and entrepreneurs. Prior to establishing her business, Kylie worked for a range of multinationals. She is married with two boys aged eight and six, and wants to do her bit to ensure the Barwon region enables every individual to reach their potential. Kean Selway has been Vice-President and Chief Operating Officer for Deakin University since 2010 and a member of the university’s executive since 2002. Kean is currently Chair of the boards of Deakin Residential Services, Unilink Limited and the Bowater Trust. He is also a member of The Geelong College Council and Chair of its Planning Committee. Matthew McDonald is Chief Executive Officer of SeaRoad Ferries. Matthew has a Bachelor of Science and Bachelor of Education from Monash University and Masters of Business Administration. Matthew is passionate about the transport and tourism opportunities across the region. 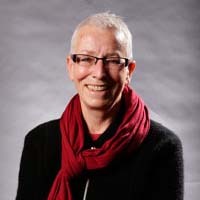 Libby Mears is Chief Executive Officer of Leisure Networks, a non-profit with a focus on sport, recreation, community inclusion and support for people with a disability. Libby is a Trustee of the Kardinia Park Stadium Trust and a former Surf Coast Shire Mayor and Councillor. 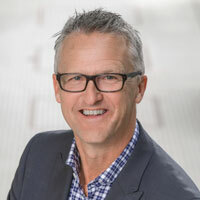 Bill Mithen is the Chief Executive Officer of the Give Where You Live Community Foundation, a philanthropic foundation that addresses disadvantage in the Geelong region. With a unique experience that covers corporate, SMEs, philanthropy and the community sector, Bill has a keen focus on equity and equality that enables everyone to participate in the Barwon Region's future growth and prosperity. 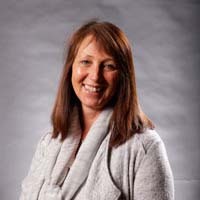 Anne-Marie Ryan is Chief Executive Officer of the Geelong Region Local Learning and Employment Network (GRLLEN) Inc. and is a member of both Victoria’s Manufacturing Skills and Training Taskforce and the Geelong Local Automotive Transition Taskforce. 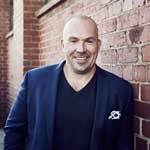 Anne-Marie is a board member of Give Where You Live and Creative Geelong Inc.
Nick Stanley is an investor, founder and active entrepreneur with a particular focus on the success of regional start-ups. Nick has a background in successful software commercialisation and entrepreneurship having founded three software businesses. Nick’s most recent success story was Tribal Campus (nee: Sky Software) of which he was a co-founder and which was acquired by Tribal Group PLC in March 2014. Nick was then appointed the Managing Director APAC of Tribal Group PLC in June 2016. Elaine Carbines is the Chief Executive Office of G21 Regional Alliance. She is also a Director of Barwon Water and Director of the Institute of Public Administration Australia (IPAA) Victorian Branch. Elaine is a former member of state parliament and she is a Director of GForce. Keith Baillie grew up in Geelong and spent much of his youth on the Surf Coast. Keith spent the first 20 years of his career in the commercial sector, with roles in project management, information technology and financial management. Keith joined local government in 2007, after being appointed CEO of the Shire of Campaspe. Keith became CEO of Surf Coast Shire in January 2015. He is a Fellow of CPA Australia and Fellow of the Australian Institute of Company Directors. Martin Cutter is a highly-skilled business leader and operational, finance and corporate services executive, with more than 14 years’ experience in local government and more than 22 years’ experience in private business. His previous appointment at the City of Melbourne included Acting Chief Executive Officer, Director of City Business and Director of Corporate Services. 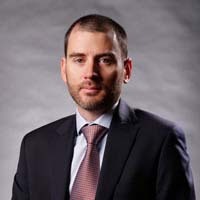 Prior to entering local government, Mr Cutter was Chief Financial Officer and General Manager at Australian River Co Limited, held various roles at ANL Limited, including Chief Financial Officer and General Manager Shipping Finance, and was a Senior Manager at KPMG. Peter Brown has more than three decades experience in local government including seven years as Horsham Rural City Chief Executive. Peter also served as Director of Corporate Strategies with the Warrnambool City Council and Chief Executive of Wimmera Uniting Care. 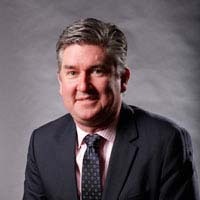 Lenny Jenner has been CEO of the Borough of Queenscliffe since October 2008 and was previously Director of Community Services with the Golden Plains Shire. 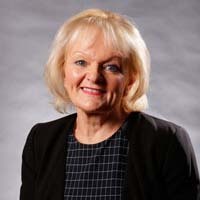 Lenny’s career includes professional roles in sport and recreation, academia, disability services, youth work, nursing and senior management roles in State and Local Government. Formal qualifications include a masters degree in social policy, undergraduate degrees in education and recreation and a general nursing qualification.